Royal guards line the driveway and the resounding boom of a gong welcomes you into a stylish resort of unrivalled beachfront sophistication. 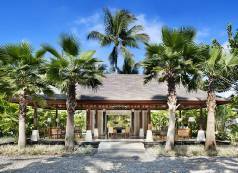 This stunning resort is built around a complex of seven beautifully landscaped lagoons and pools. On the beach in Nusa Dua, a short walk from the Bali Collection shopping centre. 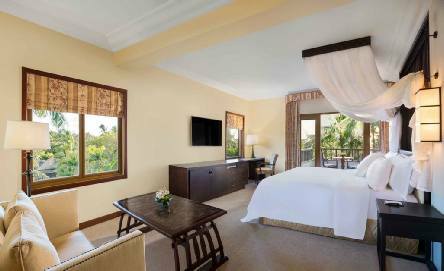 The Laguna features 7 large lagoon swimming pools and stunning views of the Indian Ocean. The friendly concierge staff are able to arrange for a variety of recreational activities, including kite flying, sand sculpture and water sports. The Lagoon spa offers a range of beauty treatments. Providing free Wi-Fi throughout the building and free on-site parking, the hotel features a fitness centre and tennis courts. 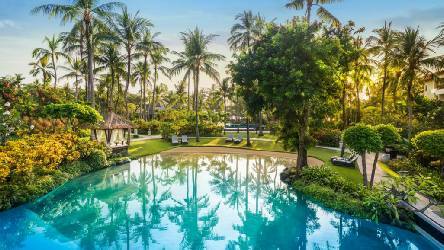 2019 Package holidays to the Laguna Resort Bali Prices are per person based on two sharing.